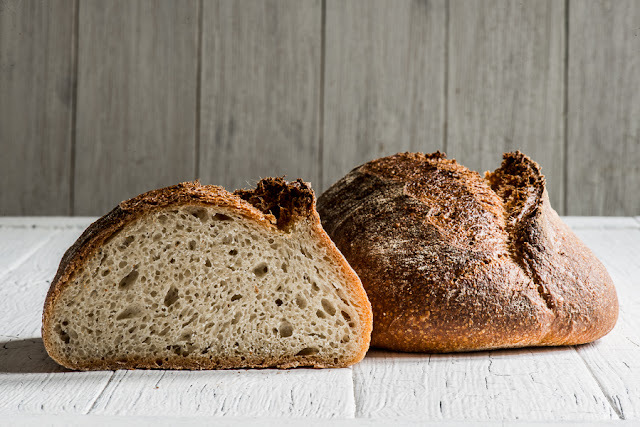 A different bread made in fact following the same principle as the Hemp sourdough bread. 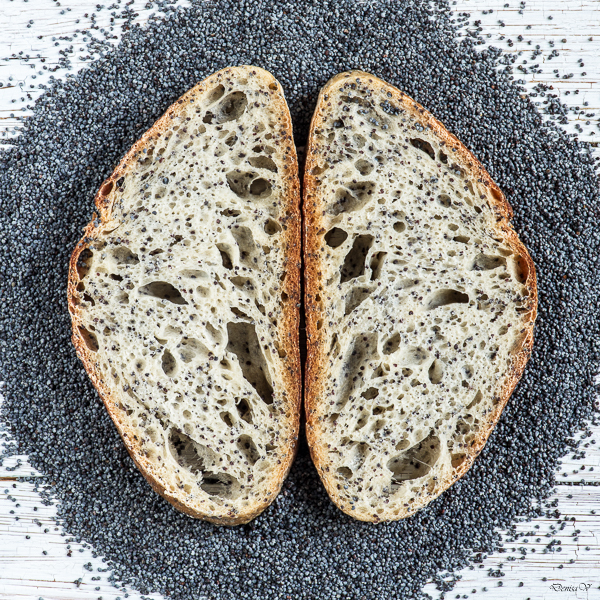 You replace hemp with poppy seeds. The quantities are just a bit different. The taste is instead totally different. 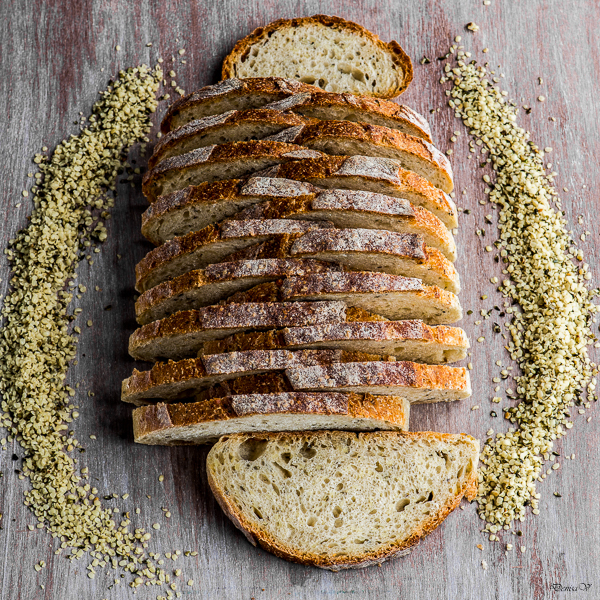 If the hemp bread has a oily - nutty taste, the poppy seeds one has its specific taste. The latter has also raised more and its flavour is bringing my mind thinking to a cake. For the second fermentation, I chose to refrigerate it for some hours as during the day I was busy with other things. I personally love this one. This is not a real bread. 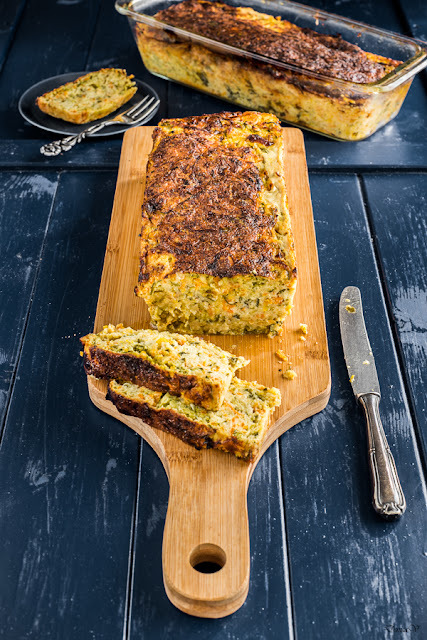 It looks like one but in fact is a side dish, a vegetable bread. An interesting bread. 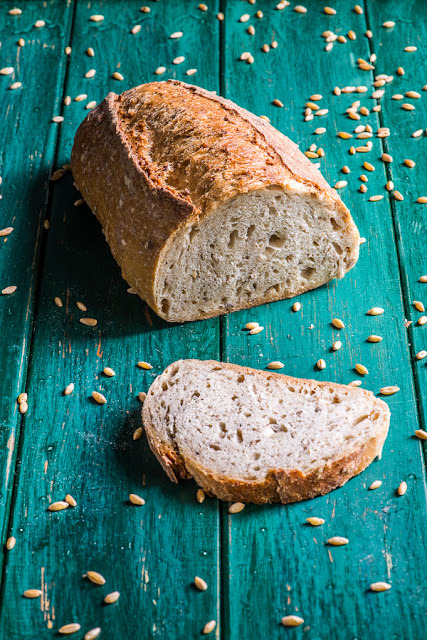 I didn't expect that hemp seeds can change the taste of the bread in such a way. It brings a soft and oily texture and in the same time offers a nutty flavour. A bread that disappeared from my table almost instantly. This happened not because somebody has stolen the loaves but because they were eaten fast. The day I have done this recipe I was caught by other daily house jobs and I have almost forgotten to shape the loaves. Luckily, it was not too late and I had to reduce the 2nd fermentation time to avoid over proofing. It is not the first time I bake a salty tart / quiche with tuna. 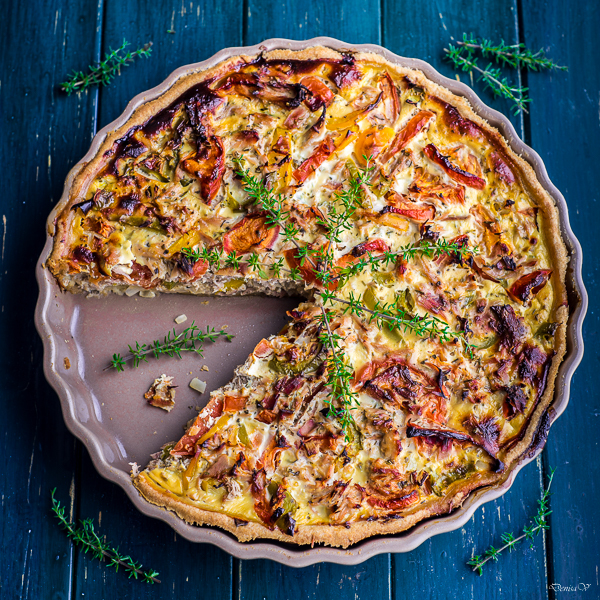 I've published some time ago a recipe of Tuna fish quiche. This one is another version of it, but different. My daughter is a very big fan of fish so there is no wonder that I am trying this kind of dish in many versions. The concentrated juice of wheatgrass is not probably the number one in my preferences in terms of taste. However, knowing its benefits brought to your body, I would not exclude it either. To avoid drinking it pure and experience a taste that I do not enjoy very much, I full my taste by putting it in various combinations with other fruits. With my trials to extract the wheatgrass juice I have broken my juice extractor. As it is not one of those juices that I do every day, I do not feel like investing in a fancy and expensive specialized herbs juice extractor. Nevertheless, I have found a way to process the juice without damages and this is by using a blender. The wheatgrass has a very strong structure and using a normal juice extractor won't work as expected. 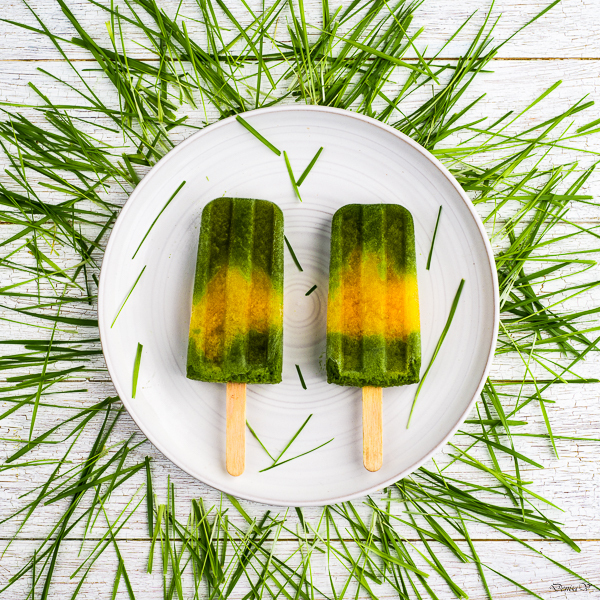 Before blending it, you need to cut the wheatgrass with a kitchen knife 1cm long. This will help the blender knife to not get stuck. Then, and this is the dirty and ugly part, you need to filter out the juice from the remaining grass. I do this with a gauze in sieve and then squeeze well the solide part remained in the gauze. There will be green stains everywhere, on your hands, on your table, so be careful. But this is all and you have one of the healthiest juice on Earth. When I harvest the wheat grass and make juice from it, I usually store a part. I put it in ice cubes and freeze it for later usage in fresh smoothies or, like this time, I made popsicles. I won't hide that after baking this bread I have enjoyed every single crumb of it. I simply don't know what was its secret comparing to other breads but it turned out to be amazing. I was eating it not only in addition to a soup but also as a snack. 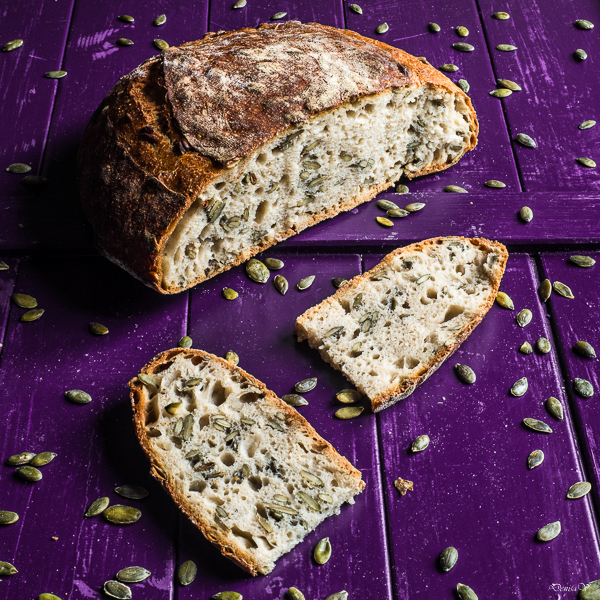 The pumpkin seeds (in big quantity in this bread) gave a nutty flavour to the bread. This is for sure that kind of bread that worth to be made over and over again. It is difficult sometimes to buy the exact quantity of fresh fruits that you are able to consume in the following days. This is how, sometimes I chose to freeze them in advance to avoid throwing them later. It was the case for 2 packages of grated apples that were waiting for me in the freezer. I was lacking also time to follow a fancy recipe, so I made a very quick one. The semolina helps in reducing the moisture of the apples. The raisins add more sweetness, while keeping the sugar very low. The rhum essence and cinnamon adds flavour. 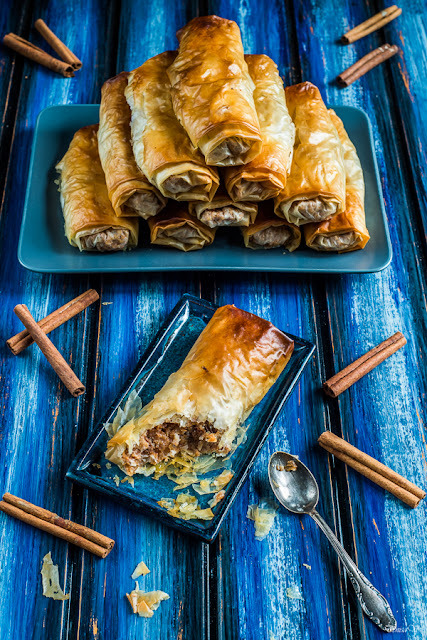 With all these elements, you cannot miss a perfect dessert. To have a smoothie, basically you can start with any juicy fruit. Clean the fruits and put them in the blender. Then, you need to add some liquid for the blender to start pureeing the fruits. If you want it natural, stop here. 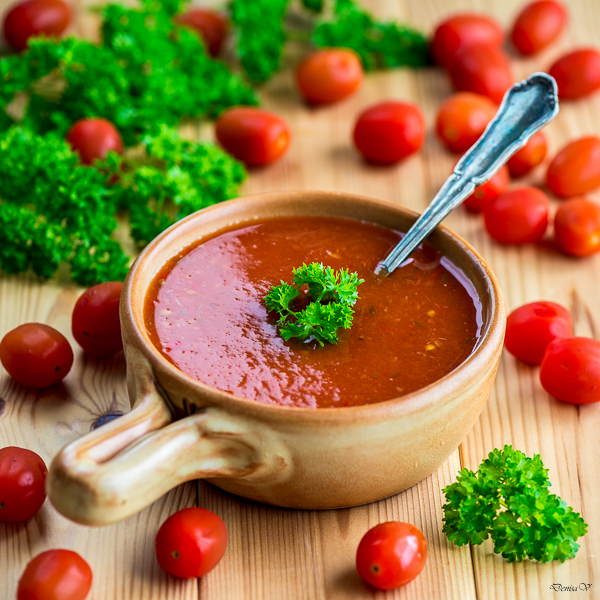 If you like it more sweet, add some natural sweetener like honey, maple syrup or even dried fruits. 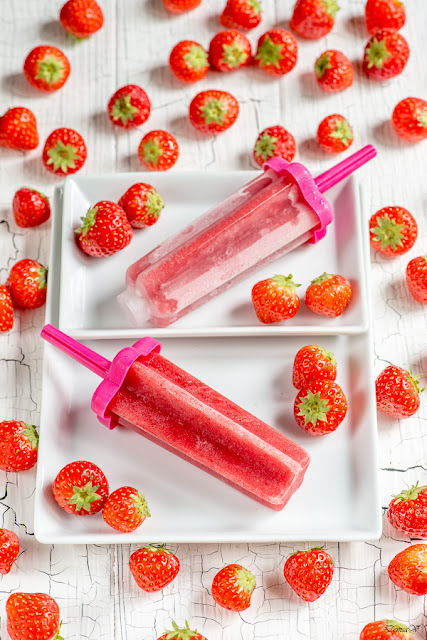 If you pour this smoothie into icecream / popsicle molds and freeze them for at least 4 hours, then you get to an excellent dessert that your kids will love. Following these principles, as I had plenty of strawberries that we were incapable to eat fresh, I had to conserve them somehow. The best was to do a smoothie, drink a part and freeze the rest. I went for the option of spicing it a bit with some ginger and I added the juice of one orange to give the blender a little start. To sweet it more, I have added a hand of raisins. If you do not want this, skip this step.Blend everything together and drink it... or make popsicles with. 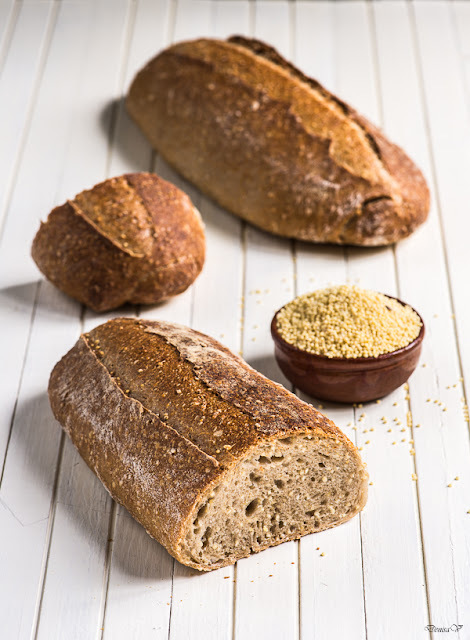 This bread is not with millet flour as you would have expected, but with millet seeds. Soaked from one day to another, they become soft and they complement very well the bread taste. I think I should not be ashamed to tell that, till this age, I have not tasted this plant called rhubarb. It was simply not very popular in my home country. I've seen it before in supermarkets or organic markets, I've looked at it in a weird way but I did not feel like buying it as I didn't know what to do with it. Later, I saw some recipes in different cook books and magazines, but I was still not that excited to try it. But this spring, I don't know why or how, I was simply in a search for trying something different from the usual staff. And I saw it in a Saturday market standing there... staring at me ... screaming in an appealing way... "take me"... "take me" .... and this is how, as I couldn't have resisted to this temptation, I ended up buying 3 bunches of rhubarb. With my new acquisition I went home. I found quickly some recipes and selected 2 of them. 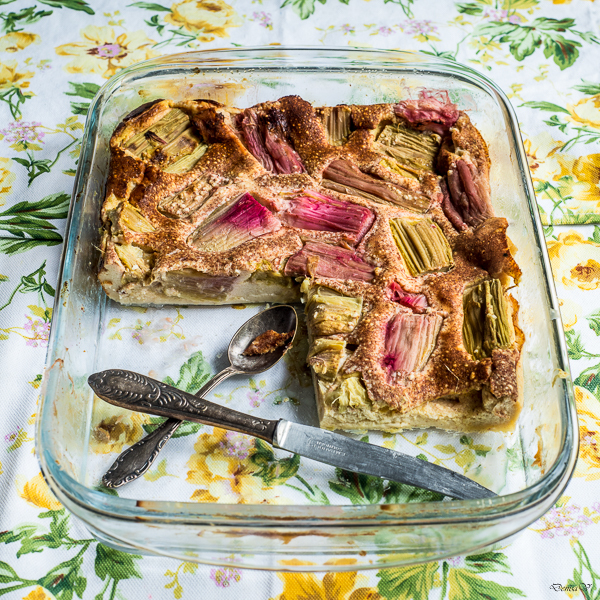 First, was a clafoutis with rhubarb and the second, was a tart. 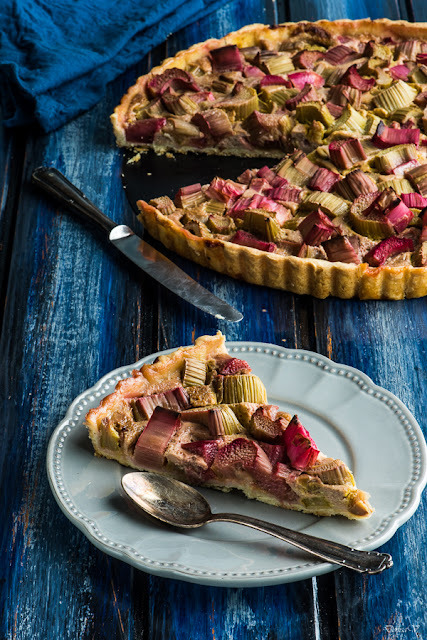 It was difficult to decide which one to do, so, as I had plenty of rhubarb, I made both of them. Should I tell you also that I had no clue how to cook this plant? Well, come on, do not judge me, we all feel the same fear when dealing for the first time with a new "beast" plant. But I had a guideline: I have followed the recipe as it was described and succeed to end up in a pleasant way. OK, OK..., I almost stick to the book ... you know me. Of course, you are probably wondering.... and... how was it? I had no idea either how it was suppose to taste ... I was imagining a sweet taste with a heavy specific vegetable flavour. Well a total surprise... not sweet but sour, with no other additional flavour. The surprise was even bigger when I have offered a slice to my daughter. First, as I was expecting, she ate the crust. Then, I was expecting to stop after that, but she didn't. She picked all rhubarb pieces from the slice and eat them one by one. Well, this was a really good surprise for me. The next one to try my tart was my dear husband and his reaction was also surprising: "Mmmm, that's very interesting..." even though he is not a big fan of sweet dishes. Do I have to make more presentation of it? ... I guess not... here it is the recipe. I have put in this bread a type of flour that I have not used before. I have milled the quinoa myself with a coffee grinder and added it in the bread. Although the quantity was not that much, there was a clear increase in flavour and taste. The bonus of this bread was... lovely raised ears.